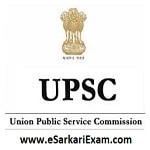 Eligible Candidates can Download CMS 2018 Result at the Official Website of UPSC. Open Written Result Link at Home Page. Click on Combined Medical Services Exam Result Link. Open PDF Link and Download and Check Result by Using Roll No.